Leeds agency Visibilis has been appointed by hair brand Tangle Angel to manage its digital activity, influencer marketing and PR. Tangle Angel, which has its head office in London, was founded by celebrity and royal hair stylist Richard Ward. Visibilis will be responsible for delivering an integrated PR and digital strategy to refine the brand and increase awareness to the consumer market. 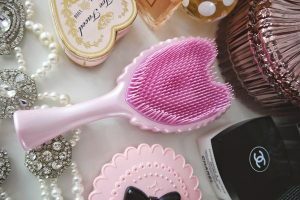 The strategy will include a strong focus on media and influencer marketing, celebrity and hairstylist targeting as well as promoting the launches of new products. Visibilis has also been tasked with growing the brand's Instagram channel. Founded by Wolfenden and Ryan Dearlove in 2011, Visibilis has since grown to 15 staff with turnover hitting £361k in 2015.